Andrew Wilson is Professor of the Archaeology of the Roman Empire and fellow of All Souls College, Oxford. His research covers ancient aqueducts and water management techniques, machines and technology, the economies of the Greek and Roman worlds, and Roman urban development. 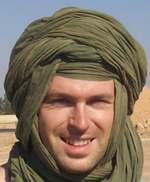 He has directed excavations in Rome and at Benghazi, Libya, and has worked on a variety of field projects in Italy, Morocco, Tunisia, Libya, Cyprus and Syria. 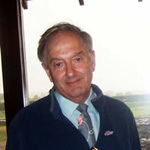 Alan Bowman is Camden Professor of Ancient History, Director for the Centre for the Study of Ancient Documents and Fellow of Brasenose College. His research interests focus on papyrology, the Vindolanda Writing-tablets, and the social and economic history of Ptolemaic and Roman Egypt and the Roman Empire. His publications include The Town Councils of Roman Egypt (1971), Literacy and power in the ancient world (1994), ed. with G.D.Woolf. Egypt after the Pharaohs (2nd ed. 1996), The Vindolanda Writing-tablets (Tabulae Vindolandenses II - III ) (1994-2003), with J.D.Thomas, Life and Letters on the Roman Frontier: Vindolanda and its People (rev.ed. 2006).